It wasn’t easy trying to make him understand that all universities from Sindh and Balochistan were participating; hence it was mandatory for us to attend. However, we were finally able to convince him. There were nine of us, out of which seven were visiting Quetta for the first time. Ultimately, this resulted in a fear of the unknown, mixed with a desire to meet new people. However, what we witnessed during our three days there totally changed our perspective of Quetta. What we witnessed in those three days totally changed our perspective of Quetta. We reached Quetta early in the morning, and a local student’s father greeted us at the bus stand. He arranged for our transport to the hotel, which was near Liaquat bazaar. Once we reached our hotel, we freshened up and made our way to the University of Balochistan. On our way to the University, the first thing we noticed about Quetta was the fact that it was built between mountains. The second thing we noticed was that Frontier Corps (FC) troops were stationed on every road. Even though the large presence of Law Enforcement Agents (LEA) painted a grim picture of the city’s security, it created a sense of safety and decreased the possibility of threats. Upon reaching the University, we unpacked our projects, set up our booth and were ready to present. The first thing that used to come to mind when I thought of Balochistan was the backwardness of the community and its people. However, much to my surprise, the University of Balochistan is just as lively as the University of Karachi. The students, their political parties, and faculty are of the same calibre. I noticed that the students of Karachi and Balochistan were visibly different in terms of physique. I am a slim person, and I couldn’t find anyone that even remotely resembled my physique. The students proudly wore their kameez with ghair wali shalwar (flowy shalwar). A person can deduce the stature of the other through their style, which was what we did. I was also amazed to see many students wearing Sindhi topis. Upon further inquiry, I discovered that there is a very small difference between Sindhi, Pakhtun and Balochi topis. For mere laymen like my team, we were completely unqualified to determine the difference. I almost missed the turban which I thought was related to the Pakhtun or Baloch culture. It is in fact a modified version of the Sindhi topi, which is worn in Quetta by Balochis and Pakhtuns. Various female students on campus also had a unique style of dressing; they covered their face with their dupattas, but had exceptionally decorated their eyes, so much so that one couldn’t help but glance at them. The common perception about females in this province is that they are very religious, cover their faces and have strict segregation rules. Though this does not stem from religious ideas, rather it seemed to be a matter of Baloch or Pakhtun customs. I only came across a handful of female students in abayas. Before getting on the bus to Quetta, I had called one of my former students, who belonged to Quetta, hoping to meet up with him. Unfortunately he was in Lahore at the time. Regardless, this is where my fascination with the people of Quetta began. My student insisted that I stay at his house, and he would arrange my transport along with everything else. When we did reach Quetta, I received a phone call from a man who introduced himself as the chachu (paternal uncle) of my former student. He asked me if I had reached safely, inquired about my accommodation and insisted that I have dinner with him. “Aap humaray mehmaan hain, baghair khana khaye aap nahi ja saktay”. (You are our guest; you cannot leave without eating food). Much to my surprise, the University of Balochistan is just as lively as the University of Karachi. Several other interesting questions were raised; however the answers from the government representatives were disappointing. It seemed, yet again, that the Gwadar port of Balochistan might not change the fate of the ordinary people. As the day came to an end, we packed up and were ready to head back to our hotel. But our plans changed as we had to drop a local student to her house on Alamdar road. Alamdar Road was home to the Shia Hazara community and housed an FC check post, who did not allow anyone inside the premises unless their ID cards were handed over. This security measure was implemented after a recent bomb blast on the Hazara procession where hundreds of Hazara Shia’s were killed. The family members of the deceased refused to bury the deceased until proper security was provided to them. All along the road, pictures of the deceased were displayed. I asked our Baloch driver about the mix of Shias and Sunnis in Quetta, and he categorically said that there are no Shias in Balochistan, there are no Shias in the Pakhtun area of Quetta and the Hazaras residing there are from Iran. This was also certified by the fact that there is an Iranian embassy in Quetta along with Afghan embassy. Quetta’s political importance can be understood by the fact that its reach is as far as Iran and Afghanistan. The faculty was invited for a networking dinner at the Quetta Club, located in the Cantonment area (Cantt). I did not avail the pick and drop service organised for me and instead went around the city in a rickshaw before making heading towards dinner. The roads in Quetta are very narrow and during rush hour all roads are usually jam packed. Another thing I noticed was the vast difference between the vehicles present at a given time – while some are on bikes and cycles, others are driving around in Land cruisers and Pajeros. This illustrates the large-scale disparity in wealth distribution and a dearth of middle class citizens in the region. I was astounded that he did not take advantage of me being a tourist and charged me an honest amount for the distance we had travelled. In cities like Lahore and Karachi, taxi/rickshaw drivers tend to rob you by overcharging, even if you’re a local. He left me at the Jinnah check post in the Cantt area and I walked the rest of the way. Only stickered rickshaws were allowed inside. I had suffered a toe injury so I walked rather slowly. It took me about two minutes to get to the reception area. (You are our guest from Karachi; I’ll drop you free of cost). He dropped me at the check post without taking any money. My admiration for the people of Quetta tripled after this. In Lahore, just mentioning that you are visiting from Karachi can get you into trouble, however in Quetta, you are treated with respect. During dinner at the Quetta Club, I met the main organiser of the event, Dr Waheed, who was a friend of the Head of Department of Electrical Engineering Program at our University. He was extremely happy to hear that someone from Karachi had participated. In the closing ceremony of the second day, with an auditorium filled with students and teachers of various universities of Balochistan, coupled with industrialists, Dr Waheed specially thanked us for coming from Karachi, and gave us a special shield for participating in the summit. During the networking dinner, I came across a Physics professor from the University of Balochistan, who happened to be a classmate of our head of department during his PhD studies. He too was thrilled to hear that we were from Karachi and took me in his own car to drop me to the hotel, even though it was quite far from his own house. I was continuously impressed by the hospitality of these people. I came back at around midnight and sat with my students for a cup of tea while sharing my experience. They had similar stories to tell as they, too, had been roaming around in the bazaar and exploring Quetta. They said that their attire made it obvious to the shop keepers that they were from Karachi, and kept insisting that we have a cup of tea with them. They also spoke of the instance where they were finding this particular, popular place to eat and asked a policeman for directions – who was kind enough to offer taking them there in his van. The next day, we were better organised. We reached the university early, set up our booth and impressed many with our engineering projects. I also visited other booths which were set up by other engineering universities like Mehran University, University of Khuzdar, and University of Turbat. Along with The Balochistan University of Information Technology, Engineering and Management Sciences (BUITEMS), we displayed our electrical related projects. We had our event that evening, so I politely asked my former students uncle to meet for lunch the next day instead. I was overwhelmed by the hospitality that almost everyone from the region exuded. Later, my student’s uncle visited the University of Balochistan, and brought Kabuli Pulao (a famous rice dish in Quetta) with him along with a packet of dry fruit. He kept insisting on taking us all out for dinner, but we had already accepted another dinner invitation. The first day was busy; there were various sessions organised and one of the sessions that I attended was of personal interest to me; it was about the CPEC and its effects on Balochistan. Various myths about Balochistan had been completely debunked in one day. When I visited the projects displayed by BUITEMS, I was astonished by their effort and their level of skill. I had assumed that they would be of a lower calibre or have lower technological standards than our projects, but I can safely claim that their projects levelled, if not surpassed ours. I heard that BUITEMS has made a serious mark in the technological front and I finally witnessed their achievements. When I asked about the secret to their success, someone remarked that admissions are purely based on merit, and even the son of a governor would be denied admission at the institution if he did not meet their criteria. (You are our guest; you have to have tea with us before you leave). I couldn’t say no, and we went out to have tea. I asked them if they had ever visited Karachi and they said they have and stayed in Lyari. Another student from Khuzdar University who was staying in the same hotel as us was also from Lyari, and I found that generally the Baloch from Quetta hold strong connections to Karachi via Lyari, while Pakhtuns hold strong connections from Al Asif and Kati Pahari. (If you ever need anything or need any help in Quetta, please call me). (You are our guest, if these run out, let me know). The summit came to an end in the evening and we returned to our hotel. Another student’s father, who had worked here, had arranged a van for us through his friend so we could go to Labelli, a restaurant just outside Quetta. Being a Karachiite, I have tried sajji at many different places in Karachi but never really liked the dish. But when one tastes the sajji in Quetta, they will forget the sajji of Karachi! Another interesting aspect of Quetta was the elegant display of roses, not just in the university, but all over the city as well. I don’t know why Quetta isn’t famous for its variety of roses because, for us, they were the most unique feature of Quetta. On the third day we decided to visit Ziarat. We went out early in the morning; the father of a local student came with us. Her mother had been kind enough to prepare some delicious chicken karhai and kebabs to eat there. Ziarat is about three hours from Quetta, but those three hours were filled with breath-taking sights. The first thing you notice are the mountains, which are initially very far, but as you keep driving towards Ziarat, they get closer and closer. The landscape is exceptionally beautiful. My students, selfie-maniacs, stopped the car at several points to take pictures. Upon reaching Ziarat, which is enclosed by mountains, we went to the Quaid-e-Azam residency which has been refurbished. It was selected as a health resort by the British in 1891 and they earned around Rs38,000 in one year by promoting tourism in this beautiful place. I fail to understand why tourism isn’t being developed in such a beautiful place. There are hundreds of spots in Ziarat which can easily attract domestic and international tourism if proper guest houses, resorts, camping trips and basic mountain climbing facilities are set up. The name Ziarat was given to this area because of the Mazar (mausoleum) of Mulla Tahir, also known as Baba Kharwari. 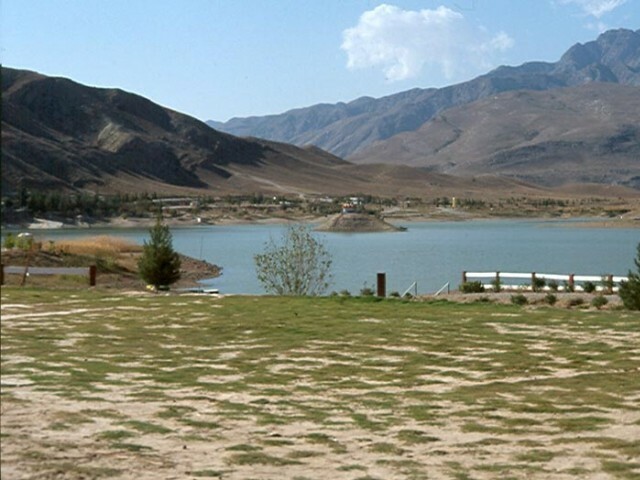 Hanna Lake, present in Ziarat, is also an exceptional spot for tourism; however it is not being exploited for commercial use either. After the adventurous experience, we returned to the bus stand from where we had to head back to Karachi. Our visit had truly changed our views of Quetta and its exceptional people, along with the beauty of its nearby areas. It is our governing bodies’ political mistake that has given it a negative reputation and created havoc in such a rich and cultural society. Criminalising Owais Raheel: What happened to ‘innocent until proven guilty’? This is an Absolute lie. Such a sad comment from your side. Sometime ethnic bias can make you a blind. When the Punjabi bashing will stop in Pakistan?. We Punjabis are infact getting tired because of this bashing. Enough should be enough. We Punjabis are more hospitable than others. In 1947 when migrants from India arrived then who invited them in their homes and give them food and accommodation for many months. Every migrant from India was first accommodated by Punjabis. 90 percent Migrant camps were established in Punjab. An ordinary Punjabi paid form his own pockets to serve the food . In Balochistan and KP not a single migrant camp was established, rather one Pukhtun nationalist called migrants are wolves and announced that no migrant camp will be allowed in Pukhtoon region. No Migrant camp was established in Pukhtoon region because of the hostility of the locals against non locals. No Food camp was established by them. So you conveniently forgot that?. Stop demonizing Punjabis. Punjabis are more hospitable than others.Hundreds of thousands of Karachites visit Lahore every year. What problem the get?. Thanx for sharing such a beautiful article.I’m from Faisalabad n i frequently travel to Lahore.yes my friend,u r absolutely right about the rickshaw drivers out there.its not just Punjab but generally as a whole. Brother I did not at all intend to create any kind of ethnic discussion. It’s just my personal and some other friends experience of ricksha drivers in Karachi and Lahore! And I stand my ground that they can literally rob you! First thanks for painting me as Indian for pointing a simple fact. The guys of Central Punjab are known to give Traitor certificates around Pakistan and you are no different. Anyway I will stand by it that Every ethnicity in Pakistan is known for Hospitality. Stop giving this medal to one or two ethnicities. But there is some special type of Self Shamers in SIndh and Punjab who think their people are less hospitable than others. I have visited Urdu speakers, Sindhi families, Kashmiris, Punjabis, Hazaras etc. All were as hospitable apart from the two mentioned ethnicities. What more proof of hospitality is required that Karachi and Punjab are the magnets for every ethnicity. They were welcomed so they live there. Try to do any business in Balochistan and Pukhtoon dominated KP regions and then I will tell you what hostility means. You basically, everytime, blow the Punjab or Punjabis trumpet. Understood that you are a Hindustani claiming to be a Pakistani.